As Europeans, we collectively waste an approximate 88 million tonnes of food per year. Some initiatives like Taste Before You Waste are trying to turn to tide, saving one vegetable at a time. 88 million tonnes of food are approximately wasted per year in Europe. Globally, we can expect one-third of all food produced - that’s 1.3 billion tonnes - to not be consumed. Waste happens at every level of the supply chain; food is discarded during agricultural production, from stores for not meeting aesthetic standards, and finally in homes, where we/you/I throw away that veggie that was getting kind of funky because we just weren’t sure.... we are all complicit. The picture show how omnipresent food waste is in our daily lives in the streets of Paris, London, Lille and Barcelona. At the same time there are organisations that try to combat food waste. One of those organisations is Taste Before You Waste (TBYW), a foundation founded in 2012 in Amsterdam, with the mission to reduce consumer food waste. 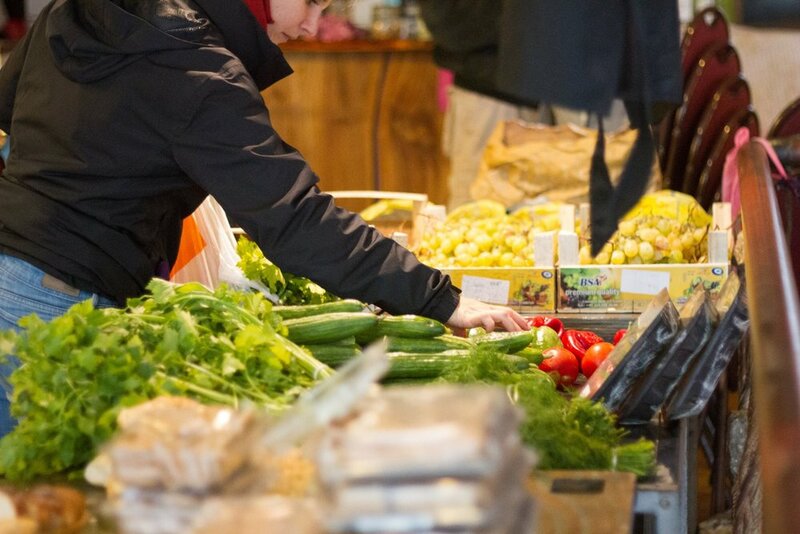 By working together with small business owners in Amsterdam East they save roughly 250 kg of perfectly good food from going to waste each week. With this food they host events such as Food Cycle Markets, Wasteless Wednesday Dinners, Educational Workshops, Event Caterings and Presentations. Marije Martens chatted with Sophia Bench, the general coordinator of TBYW to learn some more about how we can reduce our own food waste. Taste Before You Waste tries to fight food waste. Why is that necessary? It's not only the actual food that is being wasted, it is also all the water, energy and soil that the food soaks up while in the making and on the road. So food production puts high pressure on our habitat, only for around 40% to go to waste. As if that isn't bad enough, the food that was wasted, then gets thrown on landfills where it is left to rot and expel methane, one of the main greenhouse gases driving climate change. Why are you motivated to do this work? I believe in our responsibility to use resources effectively and to make sustainable practises accessible to everyone. We focus on food waste at consumer level, so connecting with people over food, creating consciousness and empowering them to make responsible and waste-free lifestyle choices is what we are going for. It is exciting to see how many people are taking advantage of the opportunity to do their groceries at our Food Cycle Market stocked with surplus produce or eat out at our Wasteless Dinners regularly, both on donation basis. By incorporating these activities in their weekly agenda, they are truly changing their consumer behaviour. Is there something we can do in our daily lives to help your cause? Yes! We consumers are the biggest contributors to food waste in most European countries. We suggest the following simple steps to follow in daily life (click on the image to enlarge it). And finally sharing the message with your friends and family! For our future I am inspired by urban farming, as it enables us to reduce waste, transportation, land use and reconnnects us with our food in a new way. Is food waste a specifically European problem? ood waste is a global problem, however the reasons for food losses differ between countries depending on their wealth. In less wealthy countries most food is lost at lower levels of the food supply chain, including production and processing, because of weather conditions, lack of knowledge or inadequate technology. In wealthy countries on the other hand, food waste often happens at distribution level due to emphasis on the physical and aesthetic appearance of food, as well as at the consumer level because food waste can be afforded. What is already happening to counter food waste on a European level? And what could still be done? 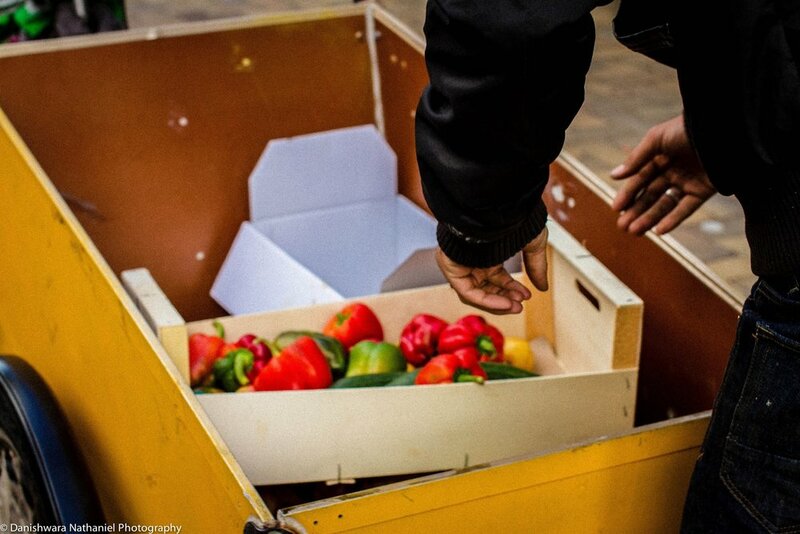 On EU level there are institutions such as FUSIONS and REFRESH, supported by the EU to research and drive policy changes, there are organisations such as FoodWIN that strengthen bottom up movements by connecting entrepreneurs and non-profits tackling food waste. What I would like to see on EU level is a ban of food waste at retail and hospitality level that would incentivise supermarkets and restaurants to buy and distribute more imperfect produce. Further, the 'Best By' date should be removed from packaging as it is merely a quality standard, not a health and safety issue, that causes a huge amount of waste due to misconceptions. On a more progressive note, incorporating education on sustainable and socially responsible food production and consumption in regular curriculums from primary to college education is essential, as well as investments in futuristic food technologies that minimise waste, resource use and transportation. The images below have been provided by TBYW. ESTEFANIA GUZMAN CURDERO is an ex-pug sitter and former Pringles ad star, Stef currently lives/works/breathes in Lille with her pet cactus. She enjoys fridge magnets, sci-fi dramas (Dark! ), and graffiti; her life’s bane is finding the perfect avocado - suggestions welcome, and at this point, necessary.